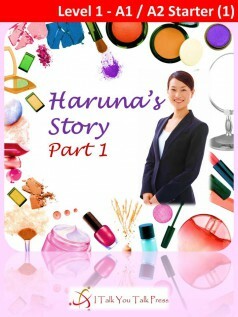 Haruna works for a large cosmetics company in Japan. One day, Haruna’s boss tells everyone that they must get 700 points on the TOEIC test. If they don’t get 700, they will lose their jobs. The person with the highest score has the chance to work in the USA. Haruna wants to work in the USA, but Kana, her co-worker, is very good at speaking English. She is Haruna’s rival.